The Giants are 2-for-26 with runners in scoring position while posting just three runs over their past 40 innings. SAN FRANCISCO — Matt Cain had his longest start since 2013, but you have to go back a few more years to truly capture the vibe of this throwback game. This was more reminiscent of Cain’s early years, when he was an ace known for keeping his chin up after tough losses that lacked run support. 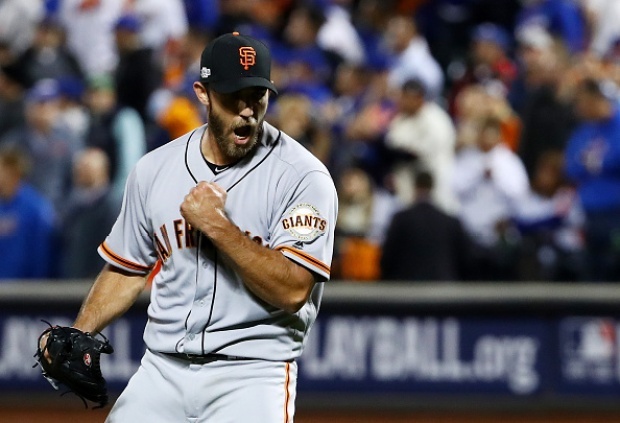 Cain threw eight innings Tuesday and gave up just two runs, but the Giants lost 4-0 to a Blue Jays team that got the timely hits the Giants have been missing for four games. The Giants are 2-for-26 with runners in scoring position while posting just three runs over their past 40 innings. The most bizarre part of this stretch has been that two of those runs came in extra innings. Once again Tuesday, the Giants were absolutely punchless through nine. There haven’t been many days this season when you could say Cain — who entered with a 7.84 ERA — deserved better. But he did Tuesday. “I hate to spoil this one for all of us, and for him, too,” catcher Buster Posey said. 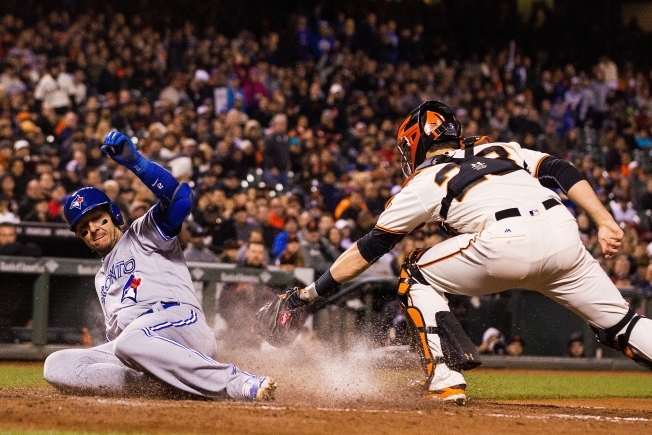 Posey is right at the heart of the collective slump. Bruce Bochy made a lineup change against J.A. Happ, sliding Matt Duffy down and pushing Posey, Hunter Pence and Brandon Belt up. But there’s not much Bochy can do when his best hitter is stuck in an 0-for-18 slump. Posey had hits in his first two plate appearances of the homestand, but he was pulled early that night after the Giants gave up 13 runs in one inning. He doesn’t have a hit since, but he said this doesn’t feel like the second-worst slump of his career. “I’m definitely not exactly where I want to be, but I feel like — looking back on the last few games — I hit some balls on the nose,” he said. The Giants didn’t do that often against Happ, who is 5-0 with a 2.05 ERA. It didn’t help that they failed to execute in a couple of big spots. After Kelby Tomlinson bunted his way on in the third, Cain swung through the next pitch and Tomlinson was caught stealing at second. Bochy was hoping that putting a play on would help the offense break through. “The worst case scenario is what happened,” he said. Cain came up with two on and no outs in the sixth but he hit a hard bunt back to Happ, who nailed the lead runner. Denard Span followed with a double-play grounder to short. Bochy, after heaping praise on Cain, noted that the man who was formerly the best hitter on staff needs to handle the bat a little better. Instead the shutout lived on. Cain gave up an early run and a late one, and Derek Law allowed two runs with two outs in the top of the ninth. That changed the tenor of the bottom of the inning. Jarrett Parker took big hacks with two down and the bases loaded and struck out. Cain took his fifth loss of the season, but he said he hopes to take this feeling forward. Posey noted that Cain was sharp in the bullpen, was down in the zone, had good break on his slider, and good carry on his fastball. What can a night like this — Cain’s first touting longer than six innings in 18 starts — do for him? Just like in Cain’s early years, it wasn’t enough. Bochy isn’t sure what more can be done to jolt the lineup. The staff is stuck waiting, hoping that a talented group breaks through quickly. “Basically it comes back to getting some guys back on track and swinging the bats the way they can,” Bochy said.